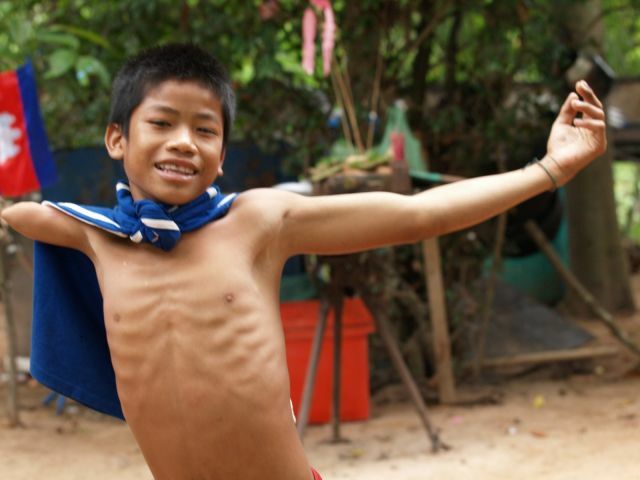 Boreak was eight when he lost his right arm in a landmine accident in Cambodia. His parents decided to send him to a home in Siem Reap for young landmine victimes. Despite his tragedy, Boreak is ever optimistic and lacking in self-pity. Through Boreak, we meet Aki Ra, a former Khmer Rouge soldier. Now in his 30s, Aki Ra removes landmines and gives children like Boreak a home.